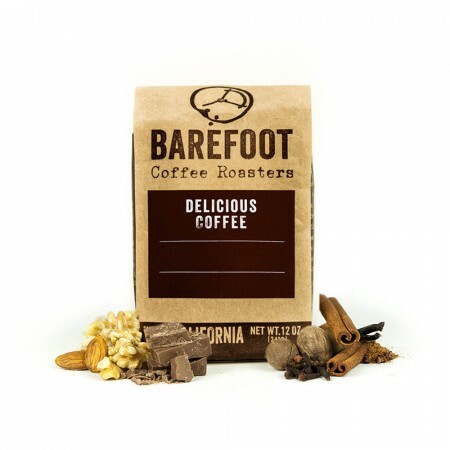 So far, Barefoot has consistently been more enjoyable to me than any other roaster from MistoBox. Like toast with jam. Like a bite of buttery pie crust, with a hint of savoriness. Dry, earthy, nutty, malty. Great roast, they stopped short of smoky with a good chocolate flavor. Not as strong of chocolate as some of the others I've had but it lets other flavors in. It says nutty, but I get more of a chocolate caramel taste. Not too bitter. Great tasting cup of java from start to finish. Nutty flavor really comes through with this one. Pleasure is offset by quite a bit of astringency. Love this one!! So easy to drink and very full of flavor. I am enjoying this coffee very much. I prefer the smoothness and richness of this coffee over the first one I received. Awful, dry beans, tasteless coffee. "Smooth" if you call hot water smooth. Reminds me of Kenya Peaberry. Had high expectations for this one. Solidly average imo. Others really seem to like it, so I may be off on this one. Flavor doesn't seem that great or exciting. Fairly easy to pull some good shots on my manual espresso machine though which is nice. Description of light and creamy is accurate, with hints of chocolate. Used for summer time cold brew and it was excellent. When used for warm morning coffee, flavors were not as bold as I would like but overall not a bad cup. Sounded good. was not good. Flat. Another victory! Nice full body, can definitely pick up the hazelnuts--another favorite! This one is a bit more acidic than the others. We don't love it as much. So this one is exceptionally smooth and creamy. Very low acidity almost bland as no particular flavor jumps out. Maybe because of the lighter roast? A little chocolate but not much nutty tones. I get some sweetness I assume is from the honey process. This is with AP (metal filter) and french press. I'm gonna have to try a V60 to see if I can pick up some additional flavors. Tastes just like it smells, which is a very good thing! Like the creaminess and heavy body. Really enjoyed this coffee. Made using a 15:1 ratio in the chemex. It's a great everyday coffee with nice notes of chocolate and almonds. I'm going to try to use this with the hot bloom/cold brew method and see how it turns out. Very, VERY good. Smooth and full flavor. Can definitely taste the chocolate and nuts. The description is very accurate. Nice coffee for starting your day. Dark Roast is more my speed and this hits the head on the nail. Rich & very flavorful with lots of chocolate & nutty overtones. I very much enjoyed this coffee, however it is a bit too sweet. This coffee was excellent. Tastes sweet to start w/ strong chocolate notes and finishes in a bold mocha flavor. Easy to brew, was brewing this optimally at the 2nd attempt. Tasted excellent as espresso, but the coffee was so good as chemex I drank it all as a chemex brew. This coffee is fantastic. It is better than the last one I got. Even my wife, who takes her coffee with flavored creamer, was surprised how good it was. It wasn't bitter at all. Very smooth. I really enjoyed this coffee. It has great aroma and flavor. Full body yet smooth and balanced flavor. Great morning coffee. Love the body and the notes of s'mores in it! could have been a little darker, but the flavor makes up for. Taste pretty bland to me. I think from the first coffee i tried in this subscription that I might not be into flavored coffee but this coffee for being flavored I don't taste anything. No bitterness, no roastiness. Just regular tasteless coffee. Great cup of coffee! Nothing I haven't like about it! A very nice cup. Actually ate it with a S'more and the combination was perfect. The coffee was delicious. It was a little on the acidic side. It was not bitter at all. It did taste a little burnt. The beans are a tad on the light side of what we typically buy. I enjoyed this coffee in both autodrip and pour over with vario V60. I definitely like the chocolate flavor in this coffee, but it came off a bit too bitter for my taste. The Taylor Maid Farms Sonoma Roast, was definitely better for me. Ron and I were not crazy about the taste of this one. Beans are lighter but just not rich enough and didn't taste as smooth. Very exotic and complex! This was a fantastic hot cup, but an okay cold brew. The smell of this coffee is AMAZING, the finish is really nice, but it was a little too smoky for us. We do really like notes of chocolate and hazelnuts though. Not bad! Tastes are a bit muted but brews a fine cup regardless. The Red Cab was as good as the Sumatra Batak Nauli. Very Good coffee bean. It is a smooth lighter roast and balanced coffee. Not bitter tasting or acidic. Great coffee. Very smooth and balanced. Not abrasive or acidic. Highly recommend. This was a great coffee. It was well balanced and wasn't too earthy or too acidic. I really enjoyed it. Makes a good cup of coffee. Smooth. Way too light of a roast and the flavor notes aren't very apparent. Liked this one - please include again in the future. Coffee description sounded delicious and the beans smelled wonderful so i expected it to taste delicious, but it was underwhelming. It tasted like any standard coffee...nothing special. I have tried it a few times and best way I can describe it is I really enjoy this coffee a lot. It seems like a well balanced cup of coffee to me, not too weak or to strong. It is very smooth and I am loving it. Well balanced but did not have flavors as prominent as I would have liked. I brewed with a Chemex. Delicious with coffee with notes of chocolate and cinnamon. It is not too dark. A very well rounded coffee. My wife and I did not enjoy this coffee too much. It was overall too weak for our preference. The flavor was there, but just not bold enough. Going forward, we would like to increase the robustness. Color of the bean, similarly, was lighter than we enjoy.But this experience has been fun, and we're looking forward to our next shipment. Excellent coffee- one of my favorites that was sent! It didn't leave much of an impression on me. This coffee is like drinking heaven. Really enjoyed this one. Very good flavor. Not sharp or bitter. This is an amazing coffee. Every cup is smooth and delicious! Good, but nothing special. Seems to require a very fine grind no matter the brewing method to get any strength out of it. Great coffee with smooth afternotes. This coffee was by far the best thing I have ever drank!! Considering the "heavy bodied" description, I was surprised to find that my first few brews with this coffee had a tea-like color and a weak extraction. After decreasing the grind size considerably, I got a stronger cup, but I can't seem to find any brightness or sweetness to balance the spice or bring out the chocolate flavor. Smells like baking cookies while it is brewing, though, so maybe I just haven't dialed in the brew. Best cup of coffee I've ever had, hands down! Great flavor with hints of cocoa and nuttiness! Really enjoying this coffee. Deep, rich and has a pleasant finish.Big, round, not too sweet or smokey. One of my favorite darker roasts I have tried. Smooth and medium light. I wish there was a sweeter note to it, possibly some fruit. A tremendous cup either warm, cold, black or supplemented. Maintains its smooth flavor, and has a heavy scent. Brewed with an Aeropress. I did not care for the nougat and taffy notes. Pleasantly surprised to actually tasted the taffy. I'd be interested in a few more off-beat tasting notes in future coffees. I've only has two espressos so far so I may ammend this review, but I found this coffee to be bitter and get more of smoky flavor than chocolate. It's ok.
A very tasty coffee. I really enjoy it first thing in the morning. Really delicious. This is our kind of coffee- striking the right balance between fresh and comforting, spicy and rich, and layered and straightforward. Cocoa predominates, with underlying dried fruits and warm spices. This is good, not my favorite but not my least. I feel like it's lacking in a little bit of body...it feels empty. Happily drinking the full bag, but wishing it was a deeper roast. i enjoy this coffee very much. A little more mild than I what I like in my previous mailings. This bean was almost a little too bitter for me. The bag smelled good, but unfortunately it was just a little too bitter and even bland at times even when I added a little sugar and cream. really good coffee. it has a great deep chocolate and roasted marshmallow taste. would definitely buy again and recommend. Good coffee, but maybe a little too light. Starts off well, but becomes more bitter as it cools. Chocolate and spice. Nicely balanced coffee. I really enjoyed this one. The chocolate notes are of particular interest to me. Did not love this one. It was very bitter to me. This has been my absolute favorite coffee so far. It's so rich and chocolatey, it's not too acidic, and it's been perfect to wake up to in the morning. Delicious cup! Creamy with a chocolate taste and aroma, absolutely love it! would recommend this cup for anyone that hasn't tried it. I definitely wasn't a fan. It was way too sour which I'm not used to. Especially with an AeroPress. This was a decent roast, but the unique flavors didn't come through as well as I would have hoped. Not the best,but certainly not the worst cup. Just middle of the road . Smells great brewing, but that does not carry into the cup. Just as the notes describe, get that smell of toffee and caramel. Very nice cup. Light weight light chocolate with a hint of nuttiness. Walnut like tones. Rich and smooth. Not a strong in acid or flavor, but a cup worth liking. Cream and sugar can easily overpower this roast.Other notes: blade grinder; use pour over method; 195-200 degree; 1/8th cup of grounds per cup. Can't wait for my next breakfast cup of coffee! Not bad, but not a standout either. The flavors dulled quickly even with proper storage. Ambiguous naming is more reminiscent of a blend than a single origin.